People can fly a Cornwall Air Ambulance mission from their phone, tablet or computer screen thanks to the release of a 360-degree film to coincide with Fund a Flight Week (11 to 17 September). Previously the film has only been available to view through the use of specialised 360 viewers, but the lifesaving charity has now released it on Facebook and Youtube for everyone to experience. 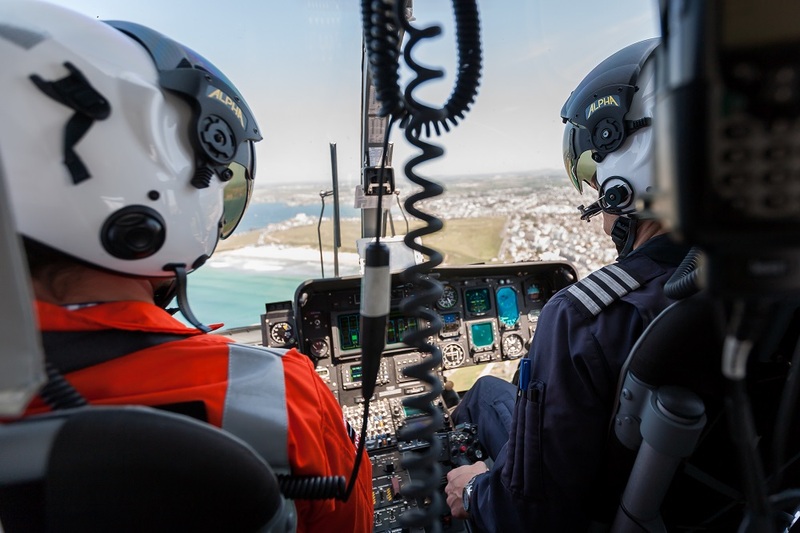 Viewers will find themselves strapped into the Cornwall Air Ambulance MD902 helicopter as it lifts off from the charity’s airbase near Newquay, on its way to help a woman at Caerhays Beach. Swipe right and you’ll see Captain Craig Webster at the controls of the aircraft. Swipe left and you’ll experience beautiful views of the Cornish coast whizzing past at 140mph. The simulated mission sees the crew treating the patient, played by one of the charity’s fundraisers, at the beach before airlifting her to Royal Cornwall Hospital, Treliske. The film has been released on Facebook and Youtube to celebrate Fund a Flight Week, an annual week of fundraising held to support Cornwall Air Ambulance. This year the charity is urging people to get sponsored to wear something red, whether it’s a pair socks, a onesie, a dress or even a wig. Alternatively, people can text KRNW01£ plus the amount they’d like to donate to 70070 or set up a regular donation to the charity here. Please do feel free share or embed the video on your own channels. You can also buy 360 degree cardboard viewers from the Cornwall Air Ambulance headquarters at Trevithick Downs, Newquay for £5. You can find out more here.